Mossel Bay Accommodation, find the perfect holiday accommodation in the Garden Route. Known as the town with the best weather in South Africa. Find a hotel, guest house, B&B, self catering or the very popular caravan and camping sites. Located in the scenic renowned Garden Route, surrounded by Mossel Bay Accommodation the splendor of the Southern Cape, André and Elmarie bid you a hearty welcome to our guest house, 3 Colours Blue, which is situated on the hill above the town of Mossel Bay with a brilliant view of the sea, mountains and mostly sunny skies! 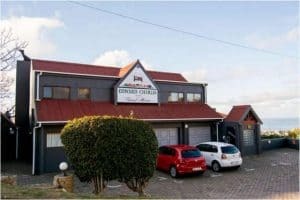 Bar-t-nique offers top quality 4 star corporate and tourist accommodation in Mossel Bay, halfway between Cape Town and Port Elizabeth in the heart of South Africa’s famous Garden Route. A very busy holiday resort in summer and the ideal retreat in winter with year round sunny weather. The charming sea facing bedrooms all have a private balcony. 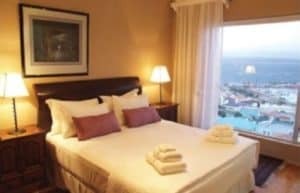 Situated along the famous Garden Route in Mossel Bay, De Bakke Santos seaside resort offers guests an exciting holiday experience, amidst unspoilt scenery. The resort offers 46 comfortable self-catering chalets, as well as 378 spacious camp and caravan stands with direct access to two pristine Blue Flag beaches. 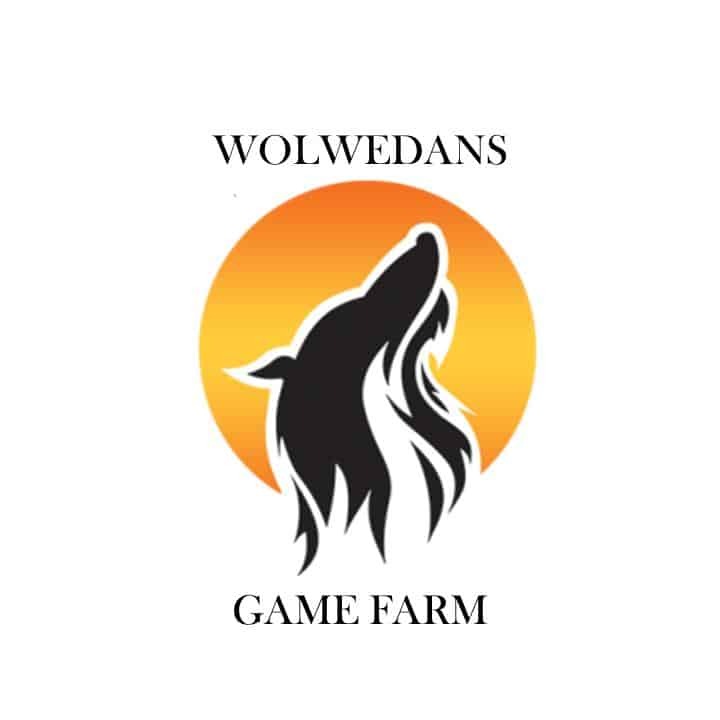 Ideally located within close range of water sports, shopping malls, cinemas, restaurants and Mossel Bay Golf Course, guests are spoilt for choice of entertainment. Beautiful sea view. Pet friendly. Secured parking with electric fencing and cctv cameras. Television with DSTV in all rooms. Tea/coffee facilities in rooms. All rooms are en-suite.Rates include breakfast. Children under 12 years of age stay free of charge. 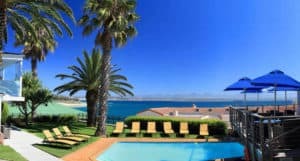 Hotel Portao Diaz has become a household name in Mossel Bay and worldwide. With more than 50 years in the industry, Hotel Portao Diaz offers every visitor the experience of a lifetime in a uniquely South African setting. Friendly and professional staff, combined with a rich history, makes for a rewarding experience for both the businessman and the traveller. Views of the local township, with the Atlantic Ocean as backdrop, makes for one of a kind accommodation and presents every visitor with all the necessary creature comforts infused with true South African cuisine and lifestyle. 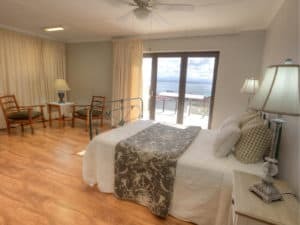 This luxury 3 bedroom, 2 bathroom self-catering penthouse is situated in the heart of picturesque Mossel Bay and boasts wifi access, a double lock-up garage and massive patio with braai facilities and ocean and mountain views. Mitat is within easy walking distance to shops, restaurants and museums and is the ideal holiday destination as well as home-away-from home for business travelers. Welcome to the tranquil but exiting lifestyle of Mossel Bay Guest house. Quiet but central to all amenities, beaches, fishing, restaurants, aircraft flips, theaters, museums, surfing, shops and lots more. At night, try our numerous taverns, town restaurants or have a relaxing Barbecue next to the heated swimming pool. Three separate patios for private sun bathing reading or watching the porpoises, seals and whales at play. For breakfast try Jelene’s scrumptious continental or full country breakfast in our tastefully furnished breakfast room or on the deck by the pool. It is home to the biggest horses in South Africa. We have twenty horses; sixteen of those are Heavy Draft Percheron Horses who were the working horses of choice here in South Africa before the Trucks and Tractors came out. This lodge, with its lush garden setting, is home away from home to travelers, tourists and holiday makers. 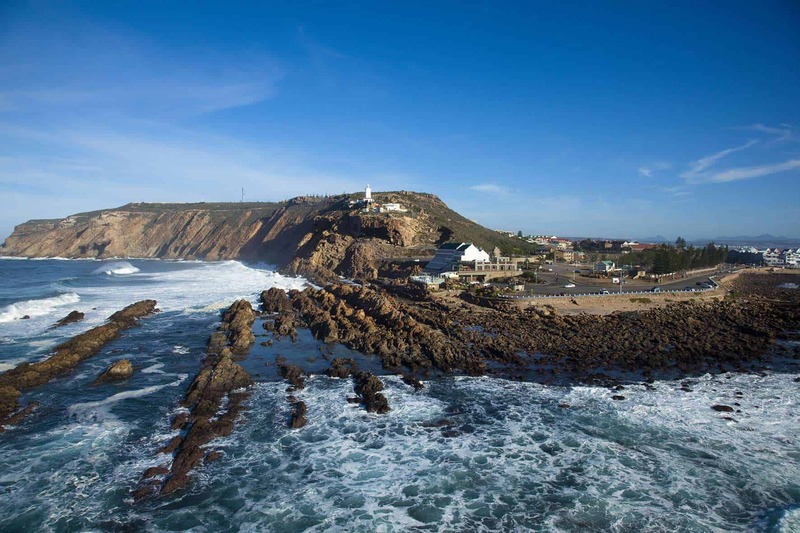 It is situated at the historical pulse of central Mossel Bay; near picturesque beaches, harbour, restaurants and vibrant entertainment activities. Pinnacle Point has been host to some of the country’s famous personalities, including Kurt Darren, Jean de Villiers, Heinz Winkler and Louis Oosthuizen, who recorded a seven under par round on the course. Unique eco friendly location within the heart of the Garden Route, built on the rocks fronting the Indian Ocean directly below The St Blaize Lighthouse. Directly below the Point Hotel is the largest tidal pool on the South African coastline.